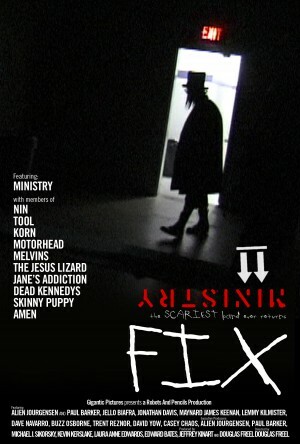 FIX: THE MINISTRY MOVIE / Digital Marketing. Al Jourgensen – Ministry, Paul Barker – Ministry, Trent Reznor – NIN Maynard Keenan – Tool Jonathan Davis – Korn Dave Navarro – Jane’s Add.. Timothy Leary. Toolshed will assist Gigantic Pictures in developing a social media plan for the film release of FIX: The Ministry Movie.